Bounce rates represent the percentage of site visitors that land on your site and immediately leave without navigating it. There are various reasons for bounce rates however, all of these reasons affect one important factor – conversions. In this article, we will review the probable reasons for high bounce rates on websites. As not all sites are the same, we will conclude the article with technologies that help you identify specific reasons for high bounce rates on your site. You will also have access to a set of analytical tool providers that offer these technologies. Have a look at the list of page speed factors outlined by Google to help you further optimize your website's page speed. Yahoo offers an amazing free online tool called Smush.it that reduces image file size on your website. Using smaller sized graphics helps to reduce your web page size and ultimately your page speed. Use eye-friendly fonts, background colors, font sizes and an uncluttered overall page layout. Your site is probably being read on a PC or a mobile device, so make sure your website is made easily accessible on various screen resolutions and under different lighting conditions. Click here to look at a live example of a bad web page layout and click here to look at a live example of a good web page layout. If you are bringing visitors to your site via paid ads, make a point of showing exactly what is promised in the ad on the landing page. For example, if your online ad talks of a 30 percent discount on a product, make the offer prominent on the landing page where the user ultimately lands after clicking the ad. Otherwise your website is bound to have high bounce rates. Webmasters get absorbed with their beautiful websites and forget that the way they see their site is not necessarily the way a new visitor sees and interprets it. Make the purpose of your website clear by using a relevant and prominent headline. Similarly, in the first few lines of the site content make it clear what personal advantage the customer has with your offerings as compared to those on other sites, (specific to your niche). 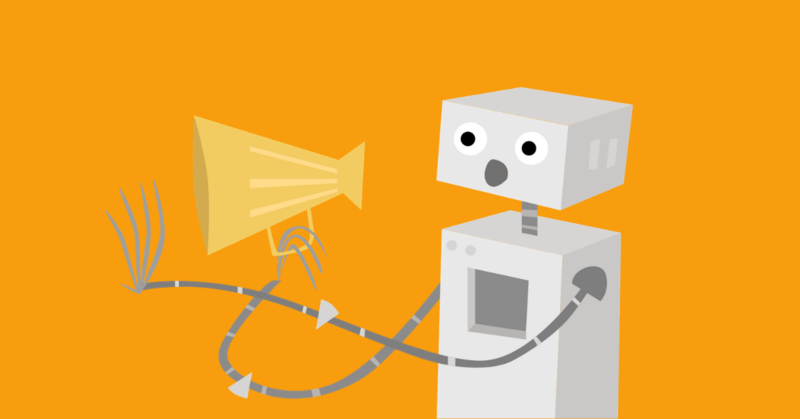 Keep the language free of technical jargon. Be it splash pages or ads, pop-ups give your site visitor a reason to leave. By the time they figure out how to close the pop-up standing between them and your site's landing page, they may have lost interest in browsing. While not all pop-ups are bad, it is necessary to analyze your site to check the bounce rates that occur when a pop-up appears. 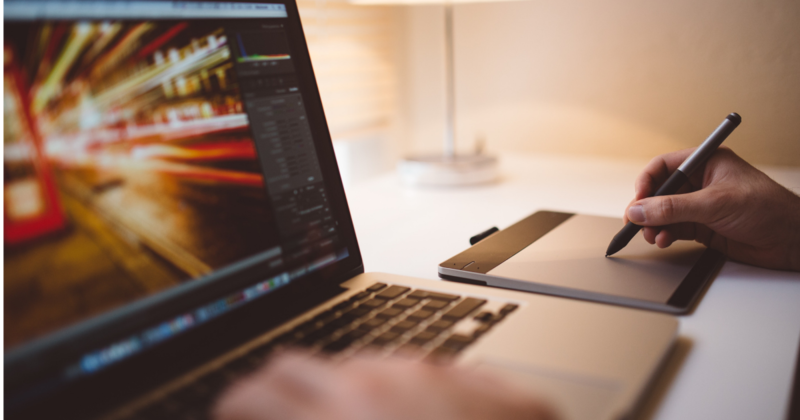 These are just some of the many factors that may cause high bounce rates on your website. Keep in mind that some factors are unusual or specific to your site; to find these you need to look deeply into the user-behavior analysis of your unique site. If you want to know where your customer clicks on your website, you can use the heatmap feature offered by many online analytical tool providers. You will know the links that most of your website visitors are clicking on. You will know which non-linked items are mistaken for links by where people are clicking. This shows user expectations and will help you optimize your site accordingly. For example, according to a recent a case study, many users were observed to be clicking on the logo of a page even if it was not linked. This indicates that best practice is to link your logo to your homepage. Sometimes multiple words or tabs on your site might be linked to the same URL. You can check in the heatmap which of these words or tabs is clicked most often to reach the URL destination. If your web page is really long, you can understand with a heatmap analysis which parts of the page garner a lot of user-attention. Thus, it may help you decide what content to place above-the-fold, as per your site users' preferences. This feature is used for website user-behavior analysis and enables the recording of mouse movements, clicks and website browsing behavior of the site visitor. While heatmaps show you points on a web page that receive clicks, the on-screen video recording feature shows you how a user moves the mouse to find clickable text or tabs. The time taken to find a clickable link, image or logo can be measured. User-preferred parts of the website can be determined by watching the video. You can see how a user navigates your site and determine whether the user struggles or if they are at ease. You can study how a user fills in the lead form and determine what stops them from filling it in, if anything. Utilize a quick survey at the end of a user's visit to track down what they were looking for but did not find. This can come in handy when optimizing your website's bounce rates. By knowing visitors' experiences on your site you will consequently know what parts of your site/service need improvement which can help convert site visitors into customers. You can send your site's bouncing visitors to a short set of questions on reasons for leaving your website. It is not guaranteed these visitors will take the survey, but any response received is a good resource for bounce rate optimization. Some sites may also offer a feedback feature that is as useful as a visitor survey. 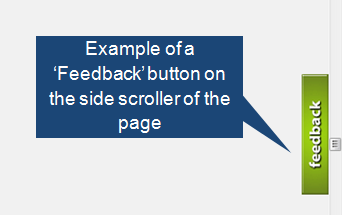 This allows for a feedback button to be constantly visible on your website as a user browses it, as shown below. Conducting usability tests will help to identify the problem areas of your site that fail to meet user expectations. These are prime areas that lead to high bounce rates on a website. 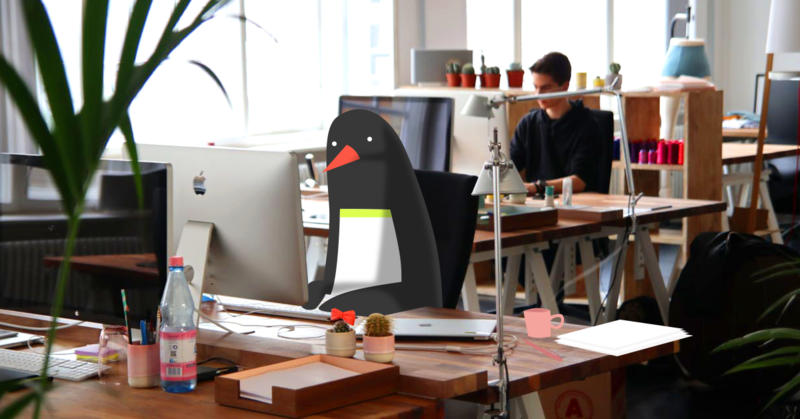 Understand your site from the user's point of view and track any shortcomings. Spend less time on customer support. Create a baseline for ROI measurement and future testing. What are most of your site visitors searching for on your website? When you answer this question, check whether your site provides a prominent navigation button for that product/service on the landing page. If one is not already there, consider making it. Does the item searched for return a relevant results page? Does the item searched for exist on the website? Answering these questions will help you understand reasons for bounce rates and allow you to optimize them respectively. The customer support staff on your website should know exactly why a customer leaves a website, especially when a live chat representative is available. Go through chat transcripts of your customer's live chat recordings and know what the customers are complaining about or what they are looking for but did not find. 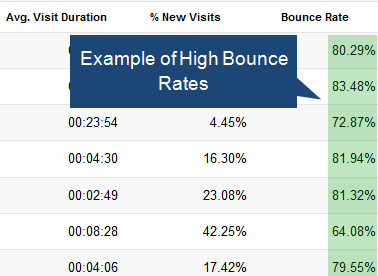 A lot can be learned about the reasons for your website's bounce rates from this data. Once you identify the reasons for high bounce rates on your website, you must go ahead and test variations of your site with different sets of online visitors using A/B Testing. Have a look at our previous post that discusses A/B testing as A Beginner's Guide to Website Testing. What tools have you used to identify high bounce rates on your site?